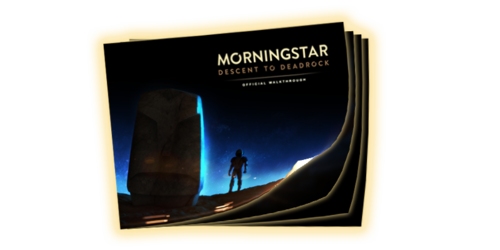 Morningstar: Descent to Deadrock is an indie atmospheric adventure game developed by Red Herring Labs. Players take control of Powell, a space trader who crashlands on the Desert planet of ‘Deadrock’ and must now navigate through the wrecks of two starships and the aforementioned planet hoping to find a way to escape. However, even the most veteran space explorers may need a little help now and again. 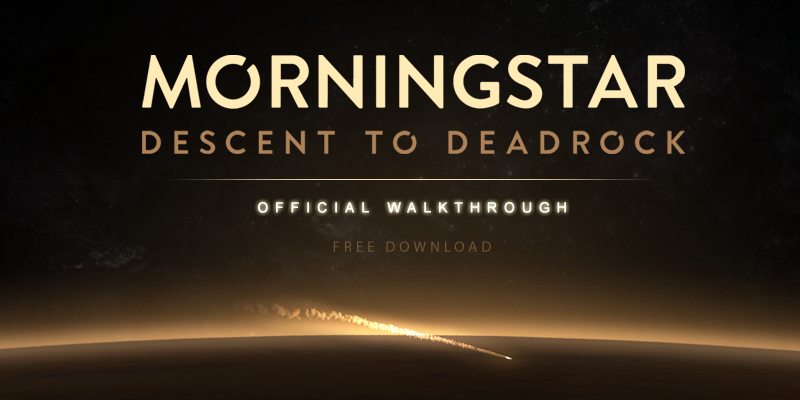 For that reason we created the Official Morningstar Walkthrough. This free to download booklet lists all the necessary actions to complete the game while keeping spoilers to a minimum. The walkthrough is also available in HTML format. Although the game does not feature any unwinnable situations or ‘zombie’ statuses, it can still be a challenge to figure out every puzzle or finding the correct item at the right time. We hope this little bit of assistance will help you further enjoy Morningstar: Descent to Deadrock, even space explorers need a bit of help now and again.